United Health Services is a family of agencies and programs founded in 1966 to help coordinate the efforts of local small not-for-profit health related organizations. Dedicated to the principles of service and cooperation, United Health Services programs share staff, facilities and budget to deliver programs in a formal alliance of trust and collaboration. United Health Services is also home to the Indiana Breast & Cervical Cancer Program and Indiana WiseWoman programs. United Health Services promotes the vitality of individual lives through education, direct services, and advocacy. Committed to the health of our community, we deliver high quality innovative programs, encourage personal responsibility for wellness and seek collaborative solutions to emerging health needs. Find out more on our News page. United Health Services is proud to have served the community for over 50 years! 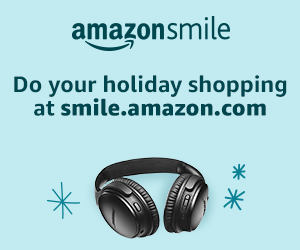 Please consider using Smile.Amazon.com and choosing United Health Services of St. Joseph County as your charity of choice while shopping.